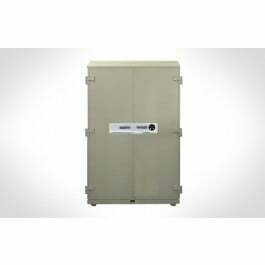 SentrySafe Record Fire Safes provide certified, point-of-use fire protection for vital business records. These products have been built to exceed the stringent UL class 350 label requirements, and are also certified to survive a drop of 30 feet onto rubble during a fire such as a fall through burning floors. 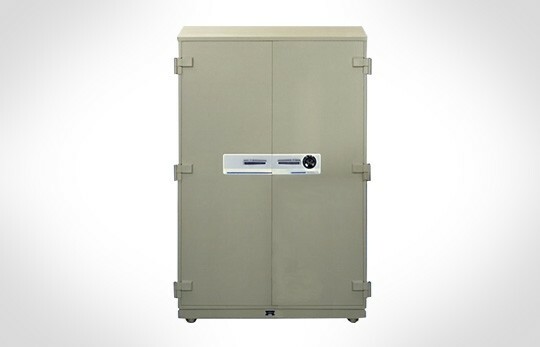 Our Record Fire Safes, provide maximum filing capacity for your valuable records. The safe interior components are constructed of welded steel and finished in attractive, durable air-dried enamel paint. Accessories are sold separately, to allow flexible storage in a variety of funtional configurations. While standard equipped with a Group 2 combination lock, a variety of locking options are available to accomodate your individual security needs. These safes have a UL certified re-locking device to set the bolts if the lock is punched in a burglary attempt. They are available in five standard colors: gray, charcoal, off-white, tan and putty.